Corals lurking in deeper, darker waters could one day help to replenish shallow water reefs under threat from ocean warming and bleaching events, according to researchers. The University of Queensland and the ARC Centre of Excellence for Coral Reef Studies examined corals from the ocean's 'twilight zone' at depths below 30 metres. Dr. Gal Eyal, the Marie Skłodowska-Curie fellow at UQ's Marine Palaeoecology Lab, said the mesophotic zone was deeper than recreational SCUBA diving limitations. "Corals in this zone are often overlooked or ignored but occupy at least 50 per cent of unique coral habitats," Dr. Eyal said. "Light is limited when descending to these depths, so it's a major factor in the livelihood of the ecosystems there. 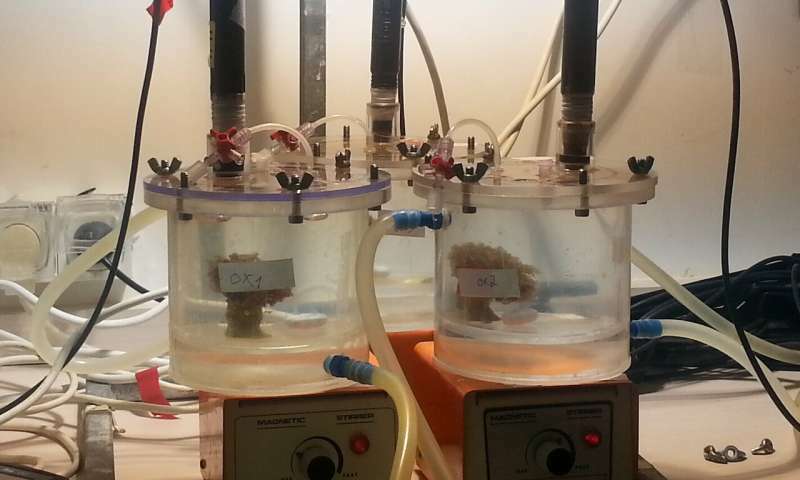 "We showed that strictly mesophotic coral can grow much faster when it is transplanted to a shallow reef light environment. "In deeper waters the corals experience light limitations, so they allocate their energy accordingly." Dr. Eyal said the improved performance of the corals collected from 40 to 50m depth and placed in shallow water conditions was promising, but more research was needed to better understand the physiological processes controlling the phenomena. "This study shows that while there are restrictions in nature currently preventing the persistence of these corals in shallow reefs, the potential is there." "The 'twilight-zone' needs to be considered an important zone of coral reefs, instead of the marginal environment it is often viewed as today." Dr. Eyal said the deep could reveal many more secrets that could help researchers understand coral reefs. "Coral reefs are diminishing worldwide due to global warming, so we strongly advocate for the protection and conservation of these deeper and unique environments in order to secure a future for coral reefs." The research is published in Royal Society Open Science.